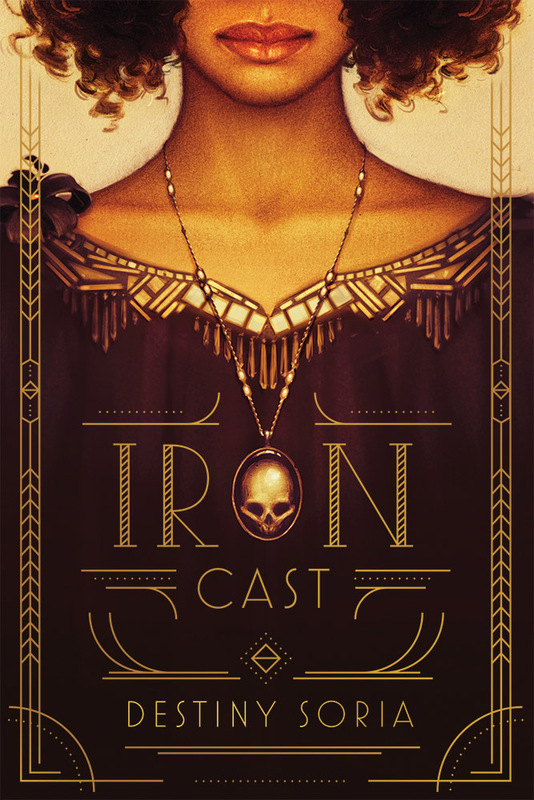 Iron Cast was an amazing tale with twist and turns, I think Destiny Soria is a wordsmith herself. I couldn't put the book down, there was always something happening. I also loved that the book focused on two main characters, Ada and Corinne, who have an amazing friendship. Plus add the hemopath blood, the era, prejudices and gun fights it’s quite a tale. What I loved the most about this book was Ada and Corrine. They are like Thelma and Louise, thick as thieves. Nothing can come between them and they would never leave the other behind. It’s amazing how they look out for each other and even though they are part of the Iron Cast family the two of them are true family. They don’t need to share blood to be sisters. I also like when Ada tells the story of why she decided to become friends with Corrine. I think it gives a little insight to Corrine. There is a splash of romance but it is not a main part of the story and I wouldn’t have disappointed if it was gone. I love romance don’t get me wrong, I just felt the story of Corinne in Ada is just so strong in that respect. Ada has someone from the beginning of the book and Corrine meets someone along the way. It was a nice balance. There are so many great side characters. Saint, Gabriel, Maddy and James make up the core group. Where you also have Johnny, Jackson, Eva, Carson, Silas and many more. I loved all of these characters because you know a lot about them without it getting to out of hand where you get confused. I can’t say much about the plot without it being spoilery and a lot happens. There is mystery, backwards and forwards betrayal and some scary Asylum stuff. I love the historical aspect that is mixed in. The prejudices against hemopaths is twisted in with prohibition and race. Even though we don’t go many places, the descriptions for the clubs/asylum is amazing. Such a great story, I would highly recommend reading it. Everything felt so well planned out and fit together. I didn’t always guess what was happening next, I don’t think I even tried because I was just so absorbed. Definitely one of my favorites this year. I do wish that Corrine was also on the cover because I feel like their friendship is such an important part but that’s okay.